Quietly commanding and rooted in exceptional functionality, this kitchen pays homage to Nordic design. 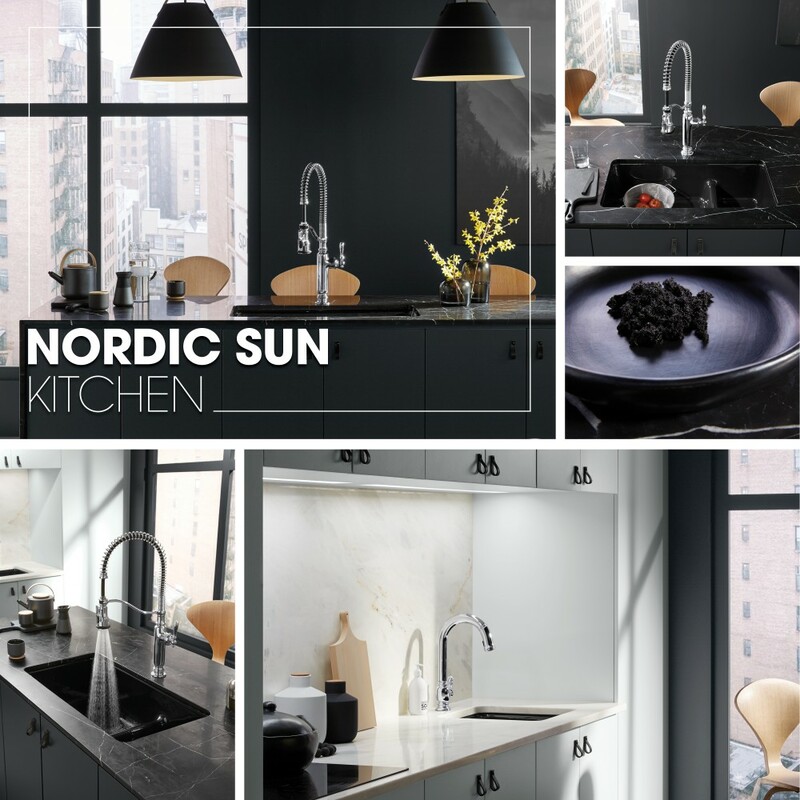 A semiprofessional primary faucet and touchless prep faucet beam with intuitive function, while thoughtfully curated appliances and sinks almost blend into the design. Dark, dreamy hues and high-contrast whites create a dynamic that brings out drama and complexity through the kitchen’s simple, ergonomic forms.